Situated on the Kavango River, Nunda River Lodge is perfectly positioned to visit Popa Falls and Bwabwata National Park. The main area includes a lapa with a restaurant, bar and lounge. 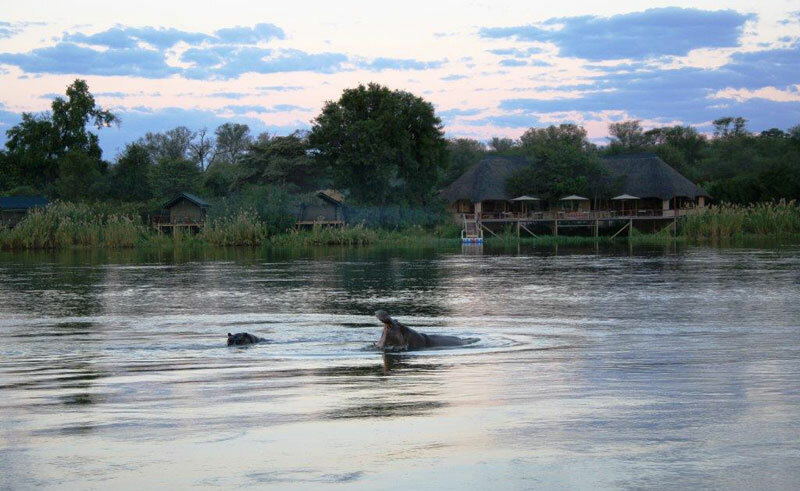 A large wooden deck overlooks the river where you can enjoy sundowners whilst watching hippos make their way downstream to their feeding grounds as well as spectacular sunsets. 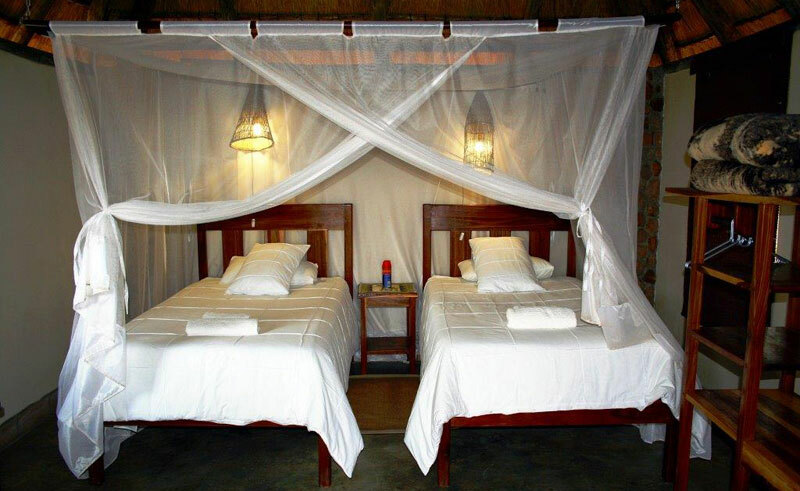 Accommodation includes seven large Meru tents or eight thatched bungalows. 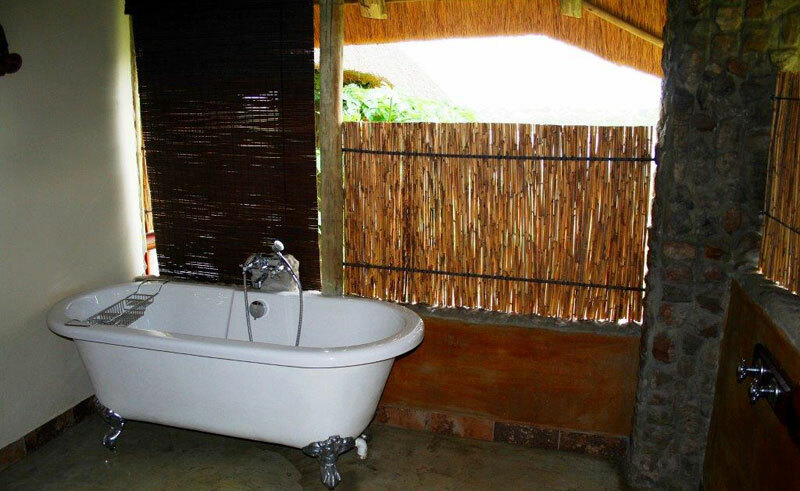 Each unit has covered decks which overlook the Kavango River, as well as a TV, mini bar, air conditioning, fan and tea and coffee making facilities. 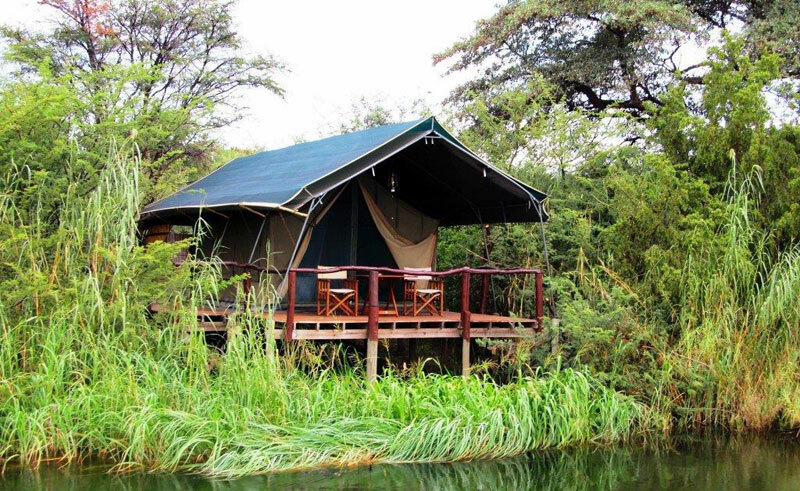 Activities that can be organised from Nunda River Lodge include boat cruises, game drives in Bwabwata National Park and a birding walk to Popa Falls.